Manufacturer & Supplier of Stainless Steel 317 Pipe Flanges, SS 317 Slip on Flanges, Steel UNS S31700 Lap Joint Flanges, Stainless 317 Blind Flanges Exporter in India. We, Neon Alloys are a prominent industry engaged in manufacturing & exporting a wide range of 317 Stainless Steel Flanges, Slip-On Flanges, Threaded Flanges, Weld Neck Flanges, Blind Flanges, Lap Joint Flanges, Socket Weld Flanges, Reducing Flanges, Plate Flanges in all materials for oil and natural gas pipelines, refinery and petro chemistry facilities, nuclear power and electricity production plants, refinement and extrication plants, dams and hydroelectric power plants and shipbuilding industry. We Offered SS 317 flanges are appreciated widely by the customers for their reliable performance, durability and excellent resistance against corrosion and abrasion. SS 317 is a molybdenum-bearing austenitic alloy that comes with the greater resistance to the chemical attacks in comparison to the general chromium-nickel alloys like SS 304 and SS 316L. Besides, 317 also provide greater strength level at raised temperatures i.e. higher creep, stress-to-rupture, and tensile strength. 317 is an austenitic stainless steel with low carbon content that gives better corrosion resistance in comparison to 304L and 316L alloys. 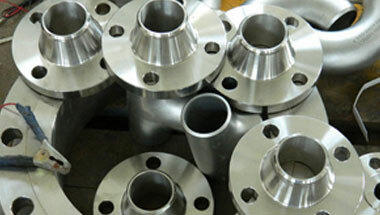 Stainless Steel 317 Flanges Manufacturer, SS 317 Plate Flanges, Steel WNR 1.4449 DIN/ASME Pipe Flanges, SS UNS S31700 Socket weld Flanges Suppliers in India. Argentina, South Africa, Bahrain, United States, Democratic Republic of the Congo, Trinidad and Tobago, Egypt, Indonesia, New Zealand, Saudi Arabia, Angola, Russia, Azerbaijan, London, Thailand (Bangkok), Dubai, Malaysia, Kazakhstan, Mozambique, Iran, Uganda, Algeria, Kuwait, Sudan, Nigeria, Australia, Iraq, Mexico, Morocco, Israel, Colombia, UAE, Venezuela, Canada, Germany, Chine, Houston, Ethiopa, Cameroon, Peru, Africa, Ghana, Vietnam, Turkey, Italy, Brazil, Jordan, Tunisia, Sri Lanka, UK. Abu Dhabi, Bethlehem, Istanbul, Antananarivo, Tripoli, Kampala, Manama, Luanda, Maputo, Hong Kong, Port Elizabeth, Brazzaville, Rabat, Addis Ababa, Kinshasa, Amman, Kolwezi, Riyadh, Bulawayo, Doha, Cape Town, Dar es Salaam, Nairobi, Zaria, Bamako, Kano, Tel Aviv, Harare, Pretoria, Dubai, Benin, Giza, Freetown, Lubumbashi, Yaoundé, Subra al-Haymah, Beirut, Johannesburg, Conakry, Muscat, Lusaka, Ibadan, Mogadishu, Dammam, New York, Accra, Maiduguri, Lagos, Colombo, Data from the UN, Fez, Mecca, Mbuji-Mayi, Durban, Ouagadougou, Abidjan, Algiers, Cairo, Aqaba, Port Harcourt, Khartoum, Dakar, Douala, Jeddah, Singapore, Kaduna, Cairo, Alexandria, Jerusalem, Byblos, Soweto, Casablanca, Sharm el-Sheikh, Omdurman, Tehran.